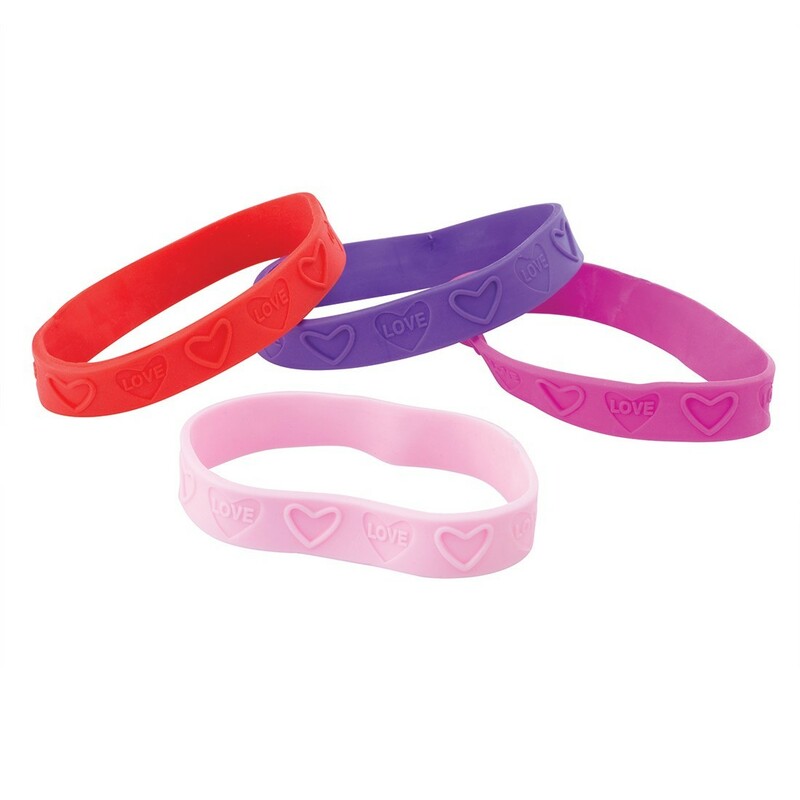 Spread love around with these heart embossed wristbands! 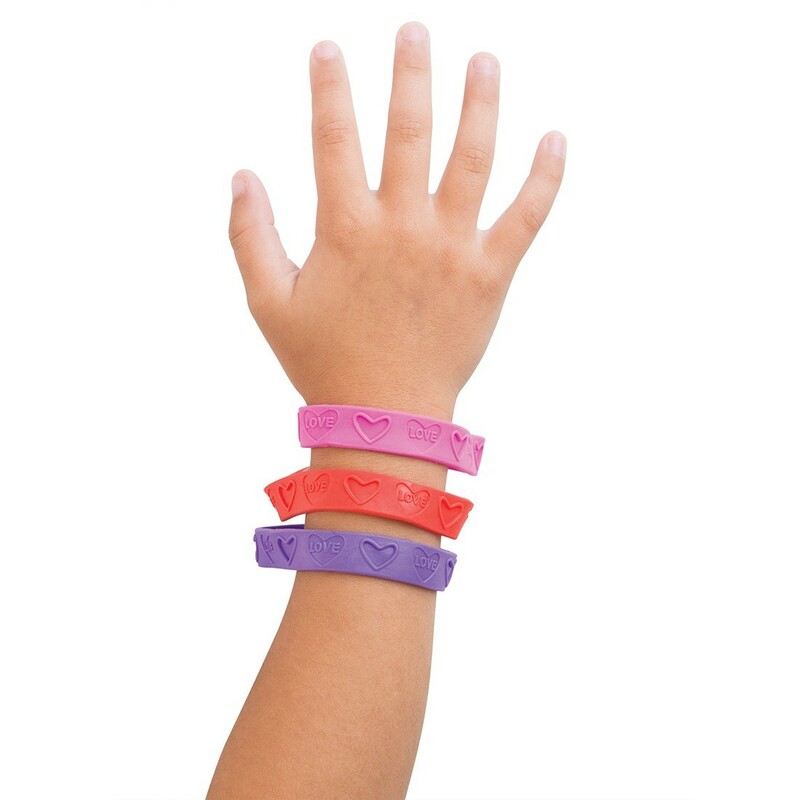 A great reward after visits this Valentine's Day season! Assorted colors. Made of rubber.